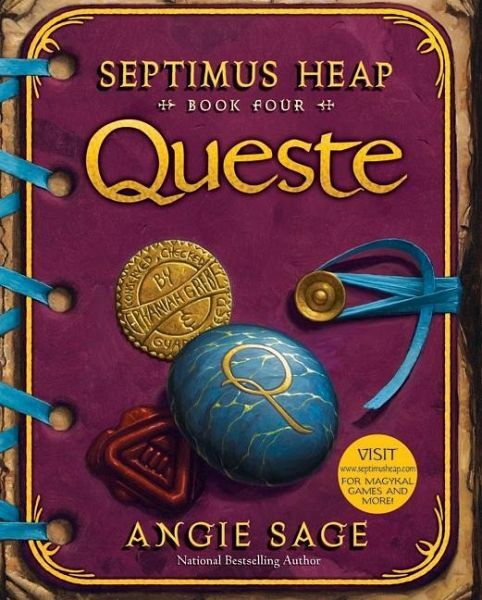 The fourth book in the internationally bestselling Septimus Heap series by Angie Sage, featuring the funny and fantastic adventures of a wizard apprentice and his quest to become an ExtraOrdinary Wizard. New York Times Bestselling Series "Breezy charm, gusts of spectacular Magyk and a buoyant plot combining drama and comedy in just the right proportions." -Kirkus Reviews (starred review) "The Septimus Heap series remains one of the best outcomes of the young-wizard furor catalyzed by Harry Potter." -ALA Booklist There's trouble at the Castle, and it's all because Merrin Meredith has returned with Darke plans for Septimus. More trouble awaits Septimus and Jenna in the form of Tertius Fume, the ghost of the very first Chief Hermetic Scribe, who is determined to send Septimus on a deadly Queste. But Septimus and Jenna have other plans-they are headed for the mysterious House of Foryx, a place where all Time meets and the place where they fervently hope they will be able to find Nicko and Snorri, who were trapped back in time in Physik. But how will Septimus escape the Queste?